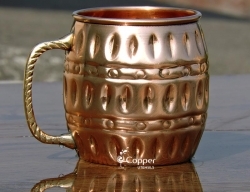 Hand crafted using traditional hammering technique. 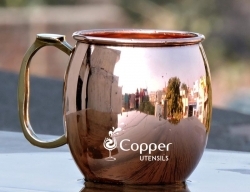 Perfect for serving beverages in style. 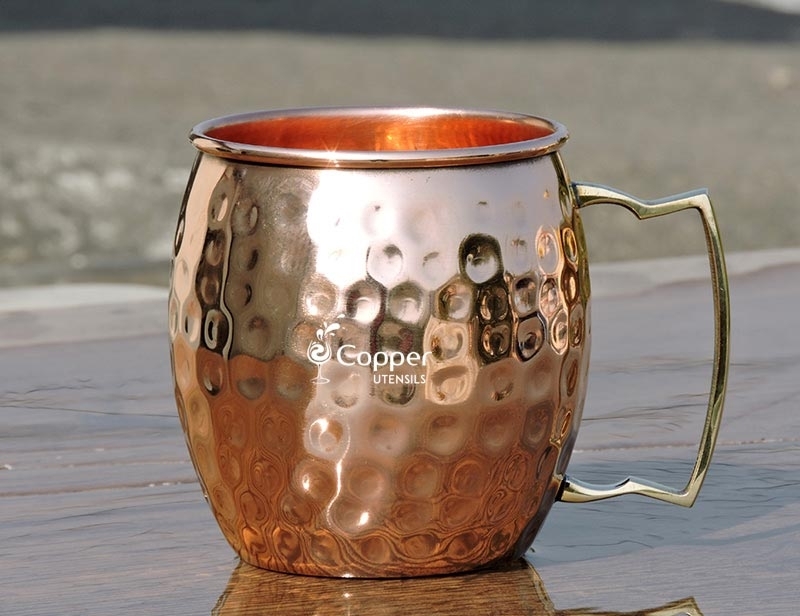 Brass handle for better grip and comfort. 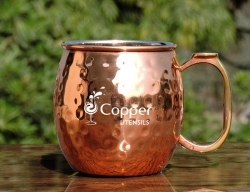 Our hand hammered copper Moscow mule mug is perfect for serving the traditional Moscow mule along with other cold beverages. 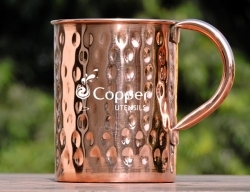 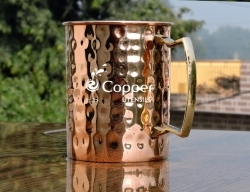 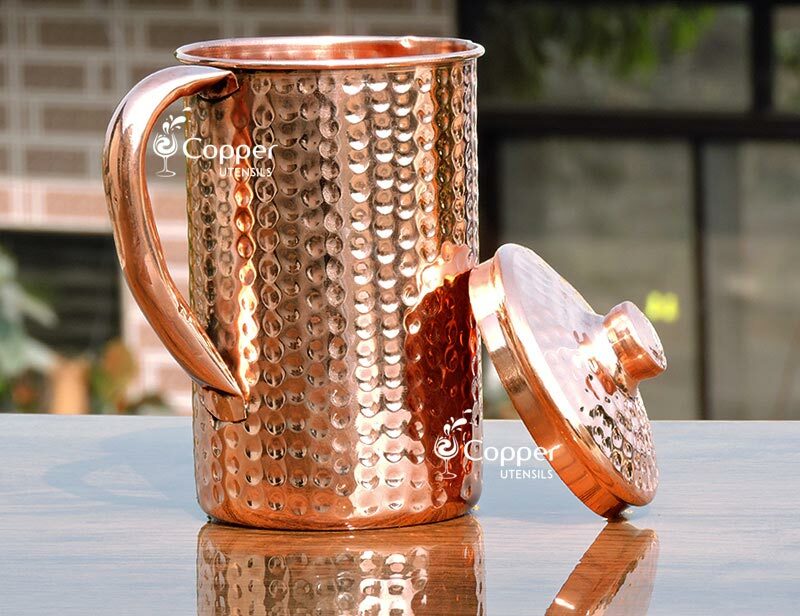 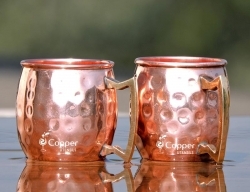 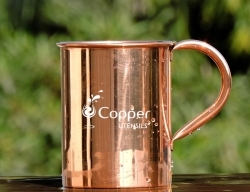 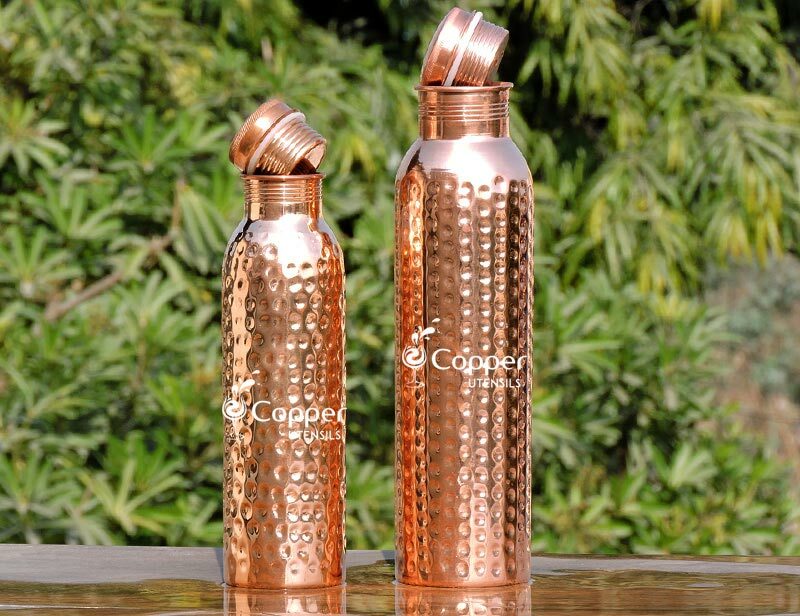 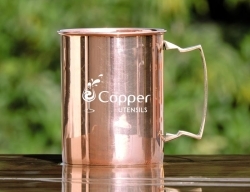 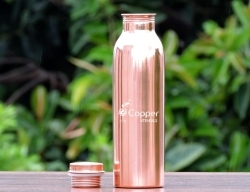 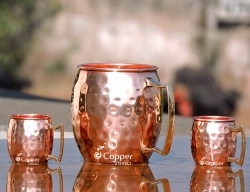 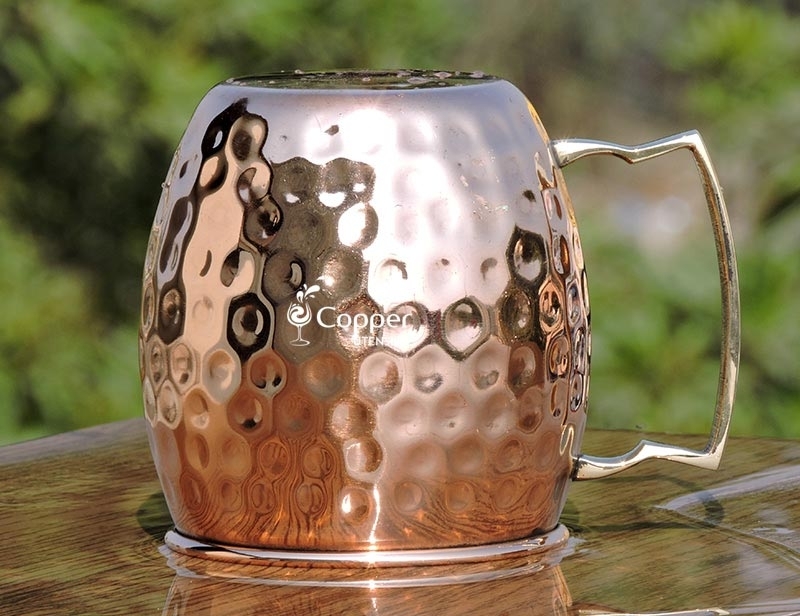 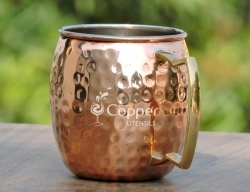 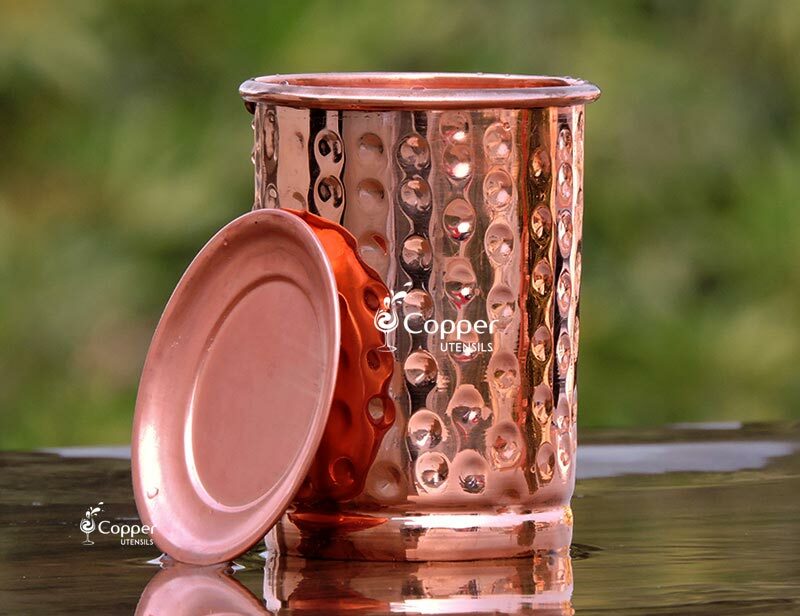 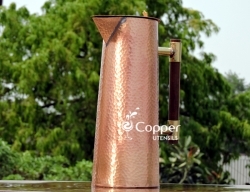 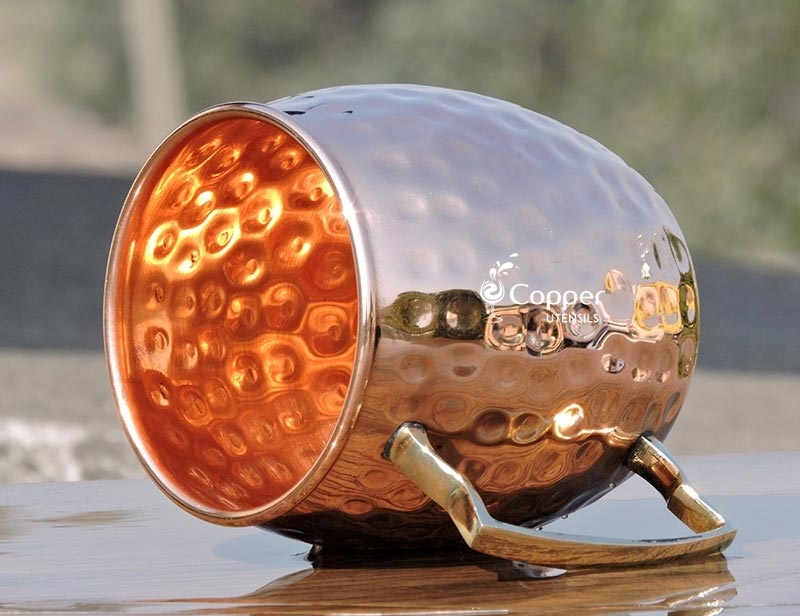 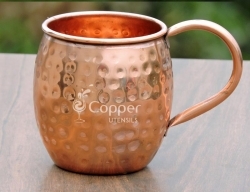 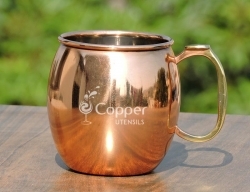 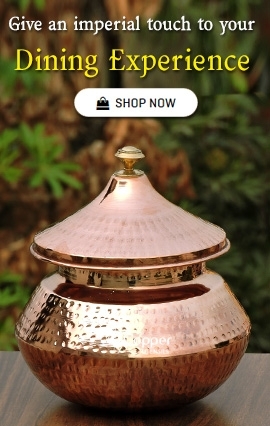 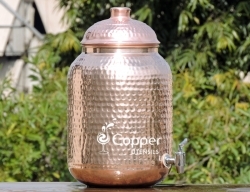 Copper mugs are perfect for serving cold beverages since they takes up the coldness of the drink quickly and imports the same chilly feeling to the consumer as well. 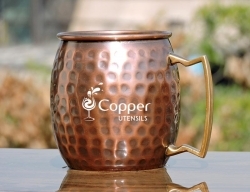 The hand hammering adds an authentic look and feel to the product. 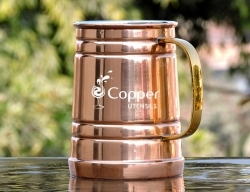 The mug has an attached brass handle to provide a sturdy and comfortable grip. 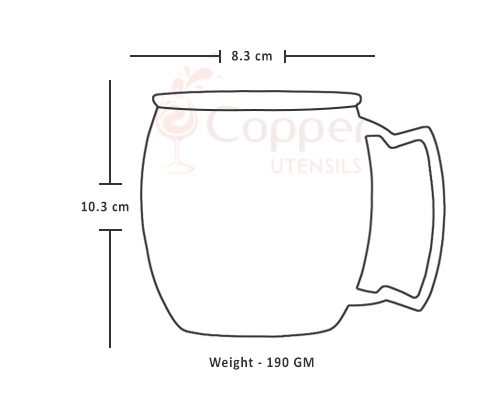 To clean the product and maintain the natural shine of the product you need to clean the mug after every use following the instruction leaflet provided with the product. 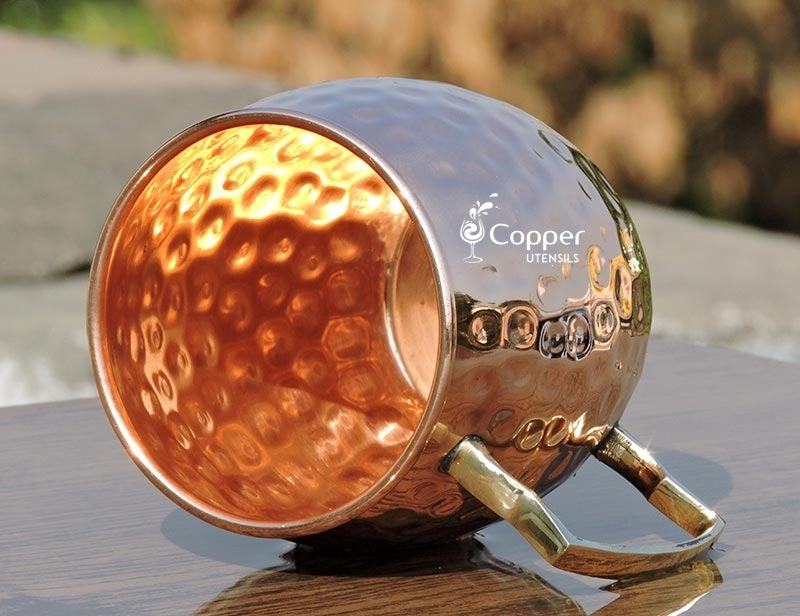 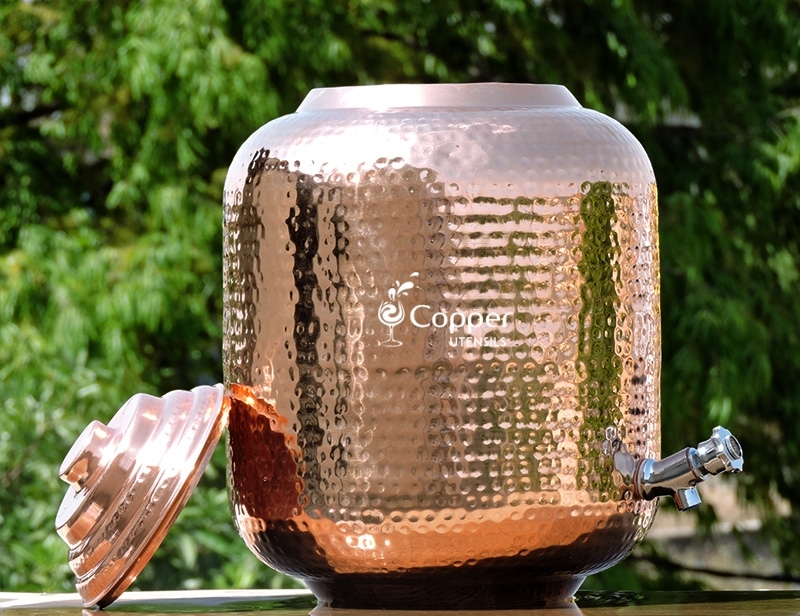 Pure copper has the tendency to fade a little with the passage of time and is absolutely normal. 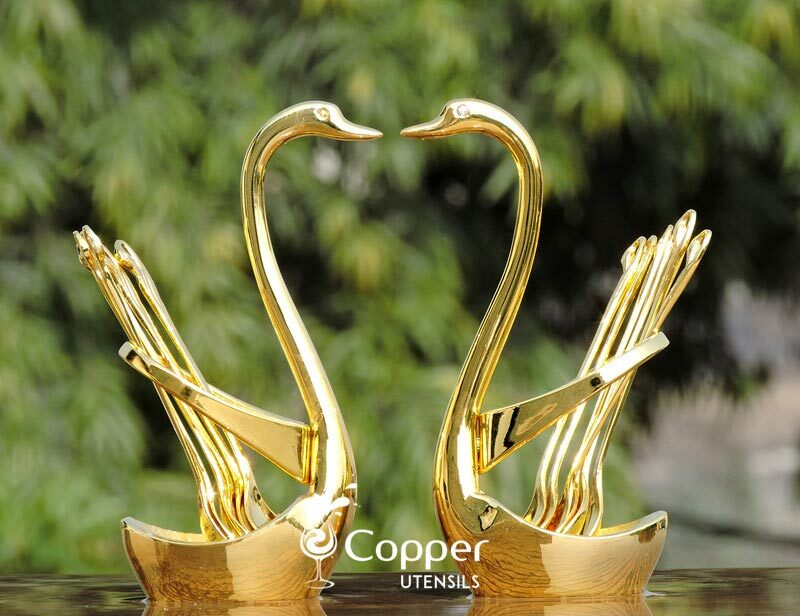 Just make sure not rub the surface of the product with an abrasive cleaner or scrubber. 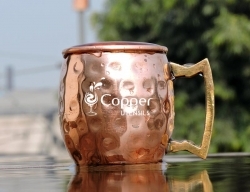 We have received our Moscow Mule mugs on time and the product is as shown in the picture. 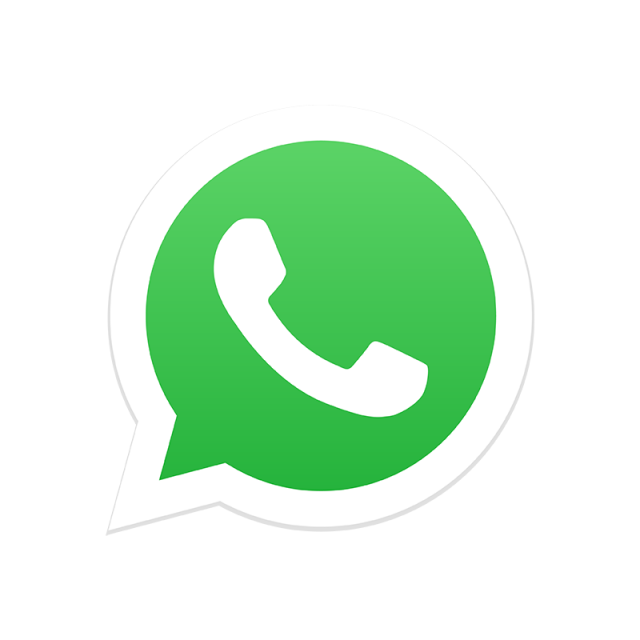 Our experience has really been positive.